3/4-inch wide training tabs are suitable for most sizes of dogs. Features a 7-1/4 inch self-loop handle with strong bar-tack stitching and convenient reverse-gate snap. 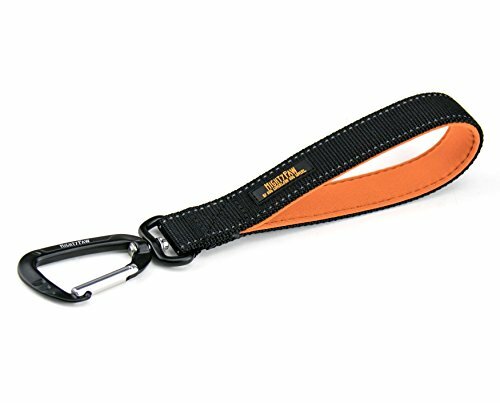 Use on a supervised dog as a quick 'grab handle' when practicing off-leash training. Available in seven solid colors, plus a range of fashion-inspired patterns, all with matching collars, leashes and harnesses. All Lupine products are proudly built in Conway, New Hampshire and Guaranteed (Even if Chewed). Made from woven nylon. Machine wash, warm water, mild soap (no bleach or bleach alternative). Air dry. Lupine products are not recommended for tie-out. 1-inch wide training tabs are suitable for medium and larger dogs. Features a 7-1/4 inch self-loop handle with strong bar-tack stitching and convenient reverse-gate snap. Use on a supervised dog as a quick 'grab handle' when practicing off-leash training. Available in six solid colors, plus a range of fashion inspired patterns, all with matching collars, leashes and harnesses. All Lupine products are proudly built in Conway, New Hampshire and Guaranteed (Even if Chewed). Made from woven nylon. Machine wash, warm water, mild soap (no bleach or bleach alternative). Air dry. Lupine products are not recommended for tie-out. 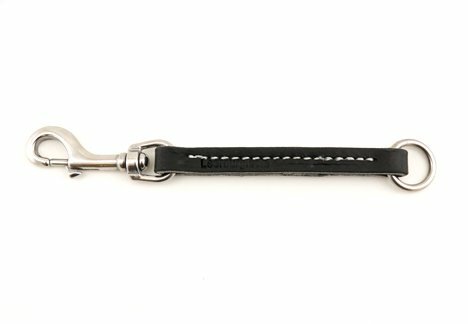 The Mendota Products Steady Tab For off-lead work when you need some control but don't want to worry about a lead snagging your dog's feet or obstacles. This is a 12-inch lead has a swivel bolt snap riveted to dual layers of fully-stitched leather. Solid brass hardware for corrosion resistance, minimal glare and a long-lasting regal look. Provides the sensation of being connected to a long line. Great for teaching the "Steady" command. No handle or knot at the end to catch. Used by professional trainers and handlers for many years. Mendota Products offers today's dog owners, trainers and handlers the finest accessories available at a moderate price. Handcrafted "Made in the USA" construction, using only the finest materials, ensures premium performance. Mendota quality dog training tab allows you have control as needed without worrying about the lead snagging your dog's feet or obstacles. Look no further for a short dog leash made with the highest quality and comfort for you and your dog. 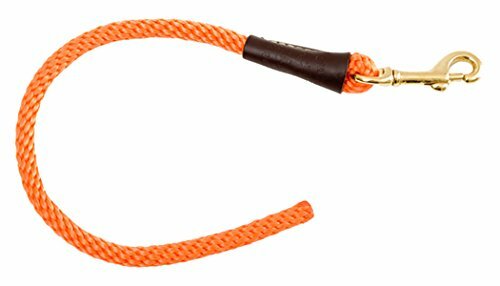 Leashboss's 12, 18, and 24 inch dog leash with padded handle offers a 1" nylon that is great for large and medium sized dogs. Comes with a heavy duty clip and a soft & comfortable padded handle made with neoprene. 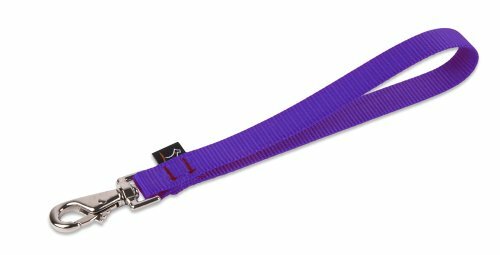 These leashes are great for service dog owners, trainers, and even simple daily activities like vet visits or walking through crowded areas. 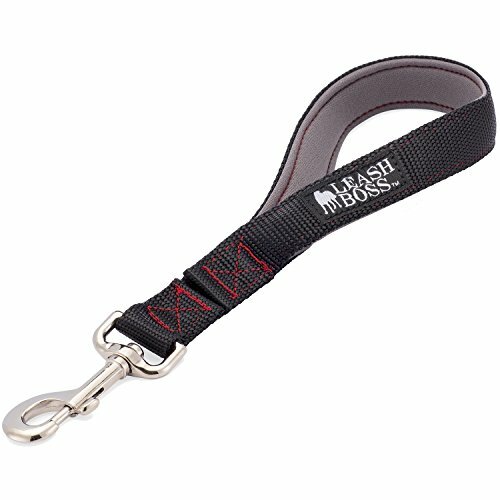 We offer 5 years total satisfaction guarantee on this leash because we are so confident that you will love it. Auburn Leathercraft Correction Pull Tab 1/2" x 12"
Auburn Leathercrafters is a family owned and operated business. Since 1950,we have been manufacturing dog collars, dog leashes, pet harnesses and toys in the beautiful Finger Lakes Region of Central New York State, USA. Forthree generations, our family members, along with our loyal staff of skilled craftspeople, have been ready to assist you with your needs. You will appreciate the quality craftsmanship of our handcrafted products. We use only the finest full grain leathers and other materials. We believe our customers must be given the best possible service and the best quality products. Leerburg Amish Leather Pull Tab, 6" Long 1/2"
This is an overview of the training matrix tab. Compare prices on Training Tab at ShopPlanetUp.com – use promo codes and coupons for best offers and deals. We work hard to get you amazing deals and collect all available offers online and represent it in one place for the customers. Now our visitors can leverage benefits of big brands and heavy discounts available for that day and for famous brands.